Dota 6.64 Now is the Official Stable map! 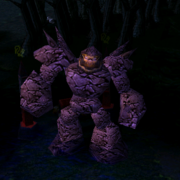 Dota 6.64 is now Stable Map. After having Dota 6.59d as a stable map for a very long time, The Dota 6.64 is now the official & latest stable map of DotA-Allstars series. Stable maps are usually considered as bug free maps. All the leagues, tournaments and clan wars matches are always played in it. The change of stable map effects the strategies & gameplay of competitive players, but now they have to follow this rule. Let's hope for the best & Good luck to IceFrog for Dota 6.65! i thought dota 6.65 would be the stable map anyway thnx for update. why icefrog didn't make dota 6.63b stable? why dota 6.64? Plz make pudge hook distance longer..
hi..i can't play the map 6.64 in my pc..der is an error "map file to big. choose another map to play"??? DUDE u must have 1.24b version to play 6.64 map..
how do i get rid of the error "map is too big pls choose a diff. map"
1.24b version? whats that? a patch?